Want to study Spanish in the next six months? SALT Edinburgh is offering you the chance to win one of five vouchers, each worth £20 off our courses! It is easy to win £20 off for your next course. 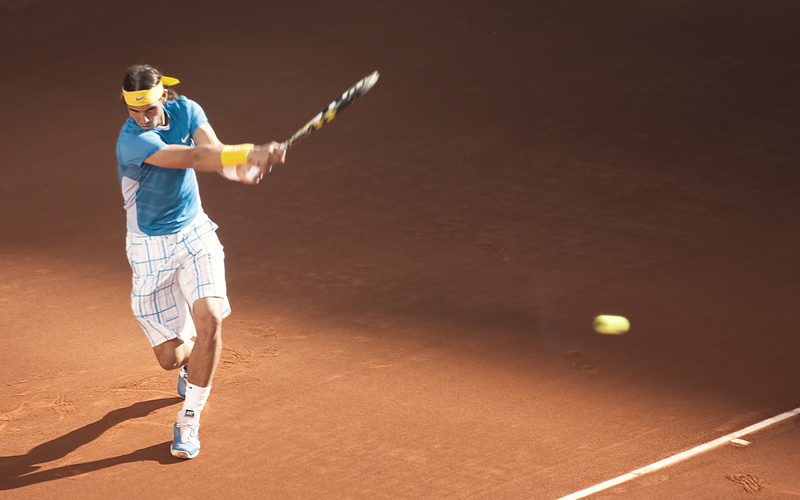 All you have to do is watch this video and answer this question in Spanish: ‘what do you suggest Rafa Nadal does to make his knee feel better?’ Write your answer in the comment section below. You can use dictionaries, grammar books or ask to your Spanish-speaking friends for advice. It doesn’t matter how good your Spanish is, or even if your answer is medically correct. We want people passionate about the Spanish language. Be inventive, creative and imaginative. Answers can be funny, bizarre and crazy. We value originality and inventiveness. Hurry up! You have time until 23.59 of the 24th of March of 2013. – To enter a competition you must be: (a) Edinburgh resident; and (b) 18 years old or over at the time of entry. – Maximum three entries per person. Each person can only win one voucher. – If you win a competition, we will notify you by e-mail asking your address in order to post the voucher. Please, be sure that your email address is correct. – By participating in this competition you accept that your email address will be included in SALT’s email list. – The judges’ decision is final, and no correspondence will be entered into. – Each voucher is individual and for the person who answers the question. The prize will not be transferable to another person. – The voucher must be used within six months after 25th March 2013. – The difference of cost between the value of the voucher and the service, must be paid before the course or classes start. – The voucher is non-refundable. – The voucher can not be combined with other vouchers for future SALT’s competitions. – SALT will endeavour to send the vouchers within three days after receiving winner’s postal address but cannot guarantee this delivery time. Yo soy guapa y te pondría hielo, Rafa. Un electrónico rodilla con remoto control por tu entrenador. Utiliza la voluntad para superar problemas físicos, Rafa - ¡la pelota está aún en tu tejado! Tu eres rico. No juegas mas y descansa! Nadal tiene un problema con su rodilla izquierda. La solución: mete su pierna izquierda, saca su pierna izquierda, mete su pierna izquierda y la sacude por todos lados. Nadal necesita una rodilla replacement.The reemplazo de rodilla debe hacerse de todas las raquetas de tenis que ganó sus 11 torneos de Grand Slam con! No tengo ni idea de verdad. No sé mucho acerca de las lesiones deportivas. Supongo que la mezcla de exercizes suaves y fisioterapia estaría bien! ¡Rafa podria cambiar su piernas rotas por un par de piernas buenas! Rafa: Tú puede intentar un nuevo deporte. Yo sugiero Ping Pong. Es muy similar al tenis pero tú tiene correr menos distancia. Su pierna será mejor. Además, no creo que Roger Federar y Andy Murray participar en este juego, por lo tanto tienes una buena oportunidad.